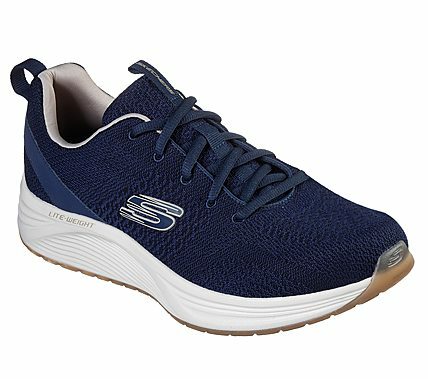 Enjoy the view in signature sporty style and enhanced comfort with the SKECHERS Skyline shoe. Soft nearly one piece engineered mesh fabric and smooth synthetic upper in a lace up jogger-style athletic sneaker with stitching and overlay accents. Air Cooled Memory Foam insole.